Homeowners need to stay constantly alert to any minor repairs that need to be attended to. South Africa is known for its violent storms, and recently these have increased as we have witnessed flooding and severe lightning storms that have damaged properties and even caused deaths. Our summers are becoming hotter, winters are getting colder, and storms are increasing in destruction. In light of this, homeowners need to stay constantly alert to any minor repairs that need to be attended to, as well as ensuring homes are up to the challenge of our evolving weather conditions as a result of climate change. If you think that gutters and downspouts are blocked or damaged, don't wait for bad weather in order to get these fixed. 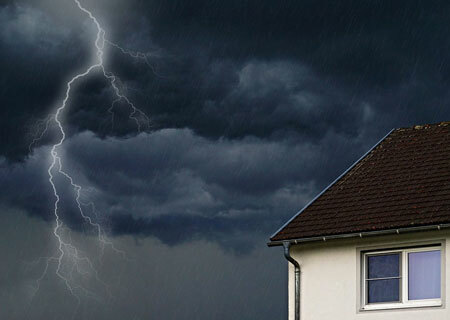 The roof of your home bears the brunt of extreme weather and it is essential that it be in good condition. It is up to you as a homeowner to regularly check for any repairs that need to be done to make sure it’s in tip-top shape. 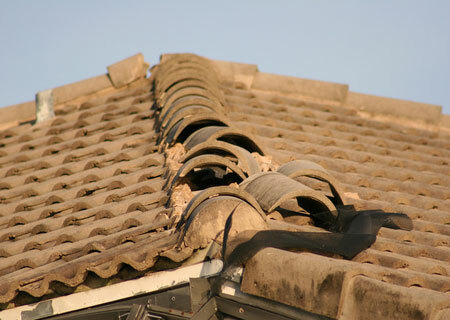 If you are not able to do this yourself, hire a roof repair company to do regular checks on your behalf. They will be able to identify any problem areas, whether flashing coming loose, dislodged roof tiles or capping, or areas that could be damaged by high winds. If you have any outdoor structures such as patios, carports and sheds, these can easily be damaged during severe weather if not properly maintained and inspected on a regular basis. Ensure that roofs are adequately attached so that they don’t rip off and cause severe amounts of damage in extreme weather. If your gutters and downspouts are blocked, water is unable to flow freely to the ground and could end up flooding a home from the top. At the very least, water not removed by the gutters can cause severe damage to walls and wood fixtures and structural elements. Make sure that gutters are securely fastened down and that gutters and downpipes are clear of debris and check this on a regular basis as part of your home maintenance inspection - at least once a year. After a severe storm, you only have to look around to see how many trees have fallen due to strong winds. If you have large trees on your property, especially close to the structure of your house, always inspect these for signs of rot or disease. 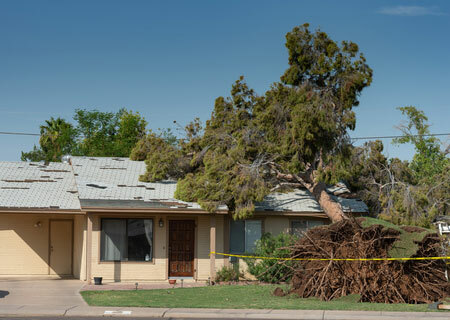 The last thing you want to happen is for a tree or large branch to fall on your property. 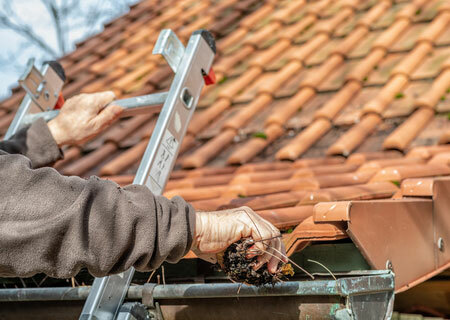 It is also recommended that you remove branches that overhang the roof of your home, as these may block gutters and downspouts and lead to severe problems to masonry and brickwork. There is no denying that our weather conditions are changing and that severe storms are becoming the norm. Be ever vigilant when it comes to inspecting your home to ensure that you don't suffer extensive damage. Copyright ©2005 - 2019 Home-Dzine.co.za.